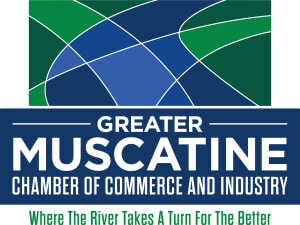 The Greater Muscatine Chamber of Commerce and Industry would be glad to hear from you to help you meet your business needs. Located in Downtown Muscatine with a view of the Mississippi, our scenic location gives you a glimpse of the rich history which defines our city. If you would like to contact a specific staff member, click here to find their email address. For information about tourism and visiting Muscatine, please direct your questions toward Nick Cusick, the Convention and Visitors Bureau Director.